The Partnering Group is excited to announce that Bill O’Connor has joined the firm as a Partner in the Supply Chain Practice. He has a proven track record of success leading complex consumer products supply chain and change management initiatives. His area of expertise focuses on consulting and training manufacturers to deliver step change capabilities to deliver growth. 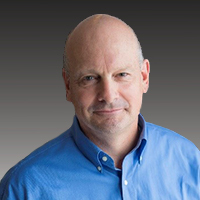 Bill brings 31 years of CPG Sales and Supply Chain experience and 4 years of Consulting experience. Bill’s most recent engagement was at Coty Inc. where he led the North American Integration (manufacturing plants, distribution centers, sales offices, back offices, etc.) of Coty’s $12.5 Billion acquisition of 43 P&G Beauty Brands. The transaction included P&G’s Salon Professional, Retail Hair Color, Cosmetics and Fine Fragrance businesses, along with select hair styling brands doubling the size of Coty. Over the course of his career in CPG (Oral-B, Gillette, P&G) and as a consultant (Bacardi, Coty) Bill has had extensive experience in Customer Logistics/Supply Systems, M&A Integrations, Supply Network Operations Optimization and Organization Change Management to deliver step change capabilities and competitive advantage. We gladly welcome Bill to The Partnering Group, his experience will give our clients confidence as they pursue Revenue and Profit growth in a dynamic business climate.